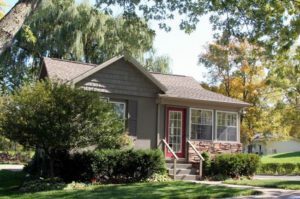 Garden Homes Park is a charming Ann Arbor neighborhood, the adorable homes surround a beautiful 11 acre park that is situated in the center of the subdivision. There are currently 4 homes listed for sale and so far this year, 4 have sold. $269,900. 1755 N. Maple Rd., Ann Arbor. 1232 square feet with 3 bedrooms and 2.0 baths. $234,900. 1770 N. Maple Rd., Ann Arbor. 1634 square feet with 5 bedrooms and 1.0 baths. $325,000. 2228 Foss St., Ann Arbor. 1493 sq. ft., + 300 in finished lower level, 3 bedrooms and 2.0 baths. $290,000. 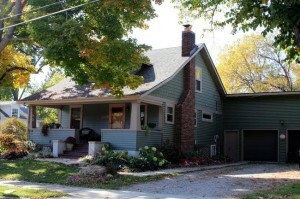 1641 Fulmer St., Ann Arbor. 1115 sq. ft. ,+ 35 in finished lower level, 3 bedrooms and 2.0 baths. $230,000. 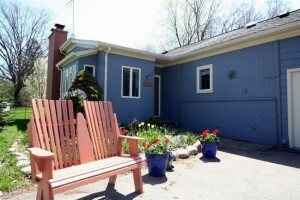 1756 N. Maple Rd., Ann Arbor. 1306 in finished lower level, 3 bedrooms and 2.1 baths. $175,000. 1650 Calvin, Ann Arbor. 962 square feet with 2 bedrooms and 1.o baths. Last year at Garden Homes Park, 7 homes sold with an average sale price of $304,429 and an average price per square foot of $164.00. The 4 homes sold this year have an ASP of $255,000, down 16.2% and an A$/SF of $209.00, up 27.4%. To learn more about home values at Garden Homes Park, contact the real estate specialists with The Bouma Group at (734)761-3060 or email info@bouma.com. View more Ann Arbor neighborhoods here! Garden Homes Park is a classic neighborhood located on the west side of Ann Arbor. There are currently 2 homes listed for sale and so far this year, 2 have sold. In 2016, 1 home sold. $295,000. 2260 Garden Homes Dr., Ann Arbor. 1716 square feet with 3 bedrooms and 2 baths. $142,500. 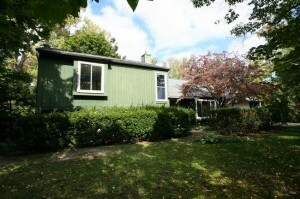 1771 S. Franklin Ct., Ann Arbor. 1512 square feet with 3 bedrooms and 2 baths. $177,000. 1755 N. Maple, Ann Arbor. 1232 square feet with 3 bedrooms and 2 baths. The home sold last year had a sale price of $177,000 and an average price per square foot of $144.00. The 2 homes sold this year have an average sale price of $271,250, up 53%, and an A$SF of $115.00, down 20%. This large disparity can be attributed to the new construction home selling for top dollar for the neighborhood and the other home selling at the bottom end of the spectrum. To learn more about home values and the types of homes in the Garden Homes Park neighborhood, call us at The Bouma Group at 734-761-3060 or email info@bouma.com. We’ve been selling Ann Arbor Real Estate for more than 30 years and know the market better than anyone! 1624 square feet with 3 bedrooms and 1.1 baths. Lower level family room has cozy fireplace and sliding glass doors to the patio and fenced back yard. Living room with vaulted ceiling and large picture window. For more information on 2260 Miller Ave, or to find out what is currently listed in the Ann Arbor area, contact the real estate specialists with The Bouma Group today at 734-761-3060 or email info@bouma.com. Thinking of listing your home? Your home is probably worth a lot more than you think – get a market analysis here and find out! To learn more about this fabulous property at 1706 Fulmer and to schedule a private showing, contact the Ann Arbor real estate specialists with The Bouma Group today at 734-761-3060 or email info@bouma.com.